Microsoft Edge for Windows 10 is currently an imperfect experience for powerusers and those who rely on more than the basics. Its fast and looks spartan, but it is missing common features like extensions and has a rude habit of eating up your RAM. At least one of those issues might be resolved soon if there is any truth to this new report. 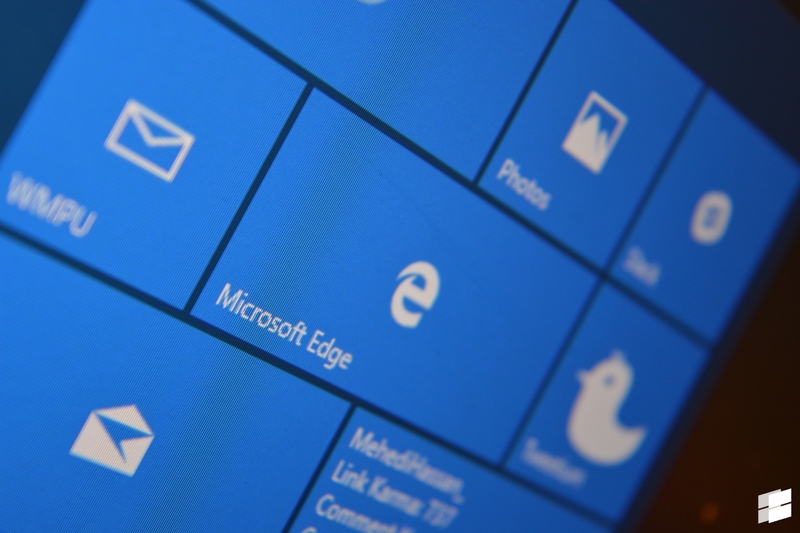 Thurrott’s Brad Sams and WinBeta’s Zac Bowden report that according to internal sources, Microsoft has rolled up the Edge extensions feature into the internal RS1 builds, which points towards an imminent release. It is expected that the next bold of Redstone will in fact bring in extensions, a feature that has been missing from Microsoft’s Edge browser since it was launched. While Microsoft’s previous flagship browser – Internet Explorer did not have extensions,, it had add-ons, tracking protection lists and other features which worked together to make browsing the internet a better experience. This is not the first time we’ve seen Edge extensions, a video surfaced late last year showing off the feature, and signs of extensions in Microsoft’s Edge browser started showing up as early as the first RS1 builds. While Windows 10 isn’t quite done being developed yet and will never be “done”, Microsoft’s rapid release schedule means that more and more features will be added to native and stock apps until stock Windows can provide an experience good enough to rival stock OSX. The main issue with Microsoft’s iterative behavior is that users may get stuck in their ways and use more stable and established products in the intervening time period, and then Microsoft will have to provide more than an equivalent to competing applications in older to “win”. Will extensions in Edge make you switch back to using Edge (assuming you aren’t? ), let us know in the comments below.